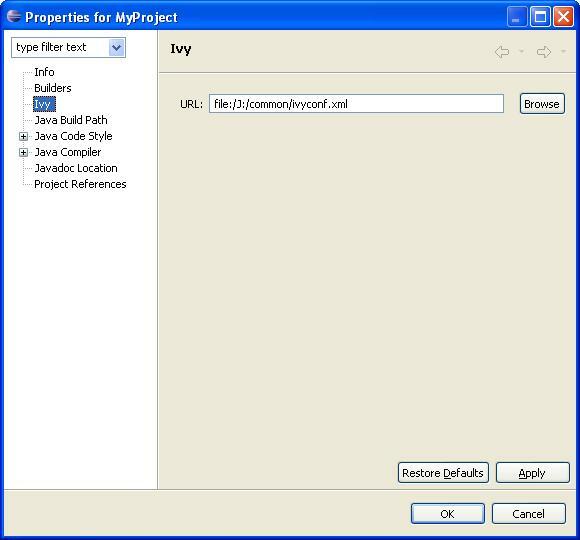 Ivy xml files Editor: creation wizard, html preview and completion for Ivy xml tag, attributes but also attributes' values. 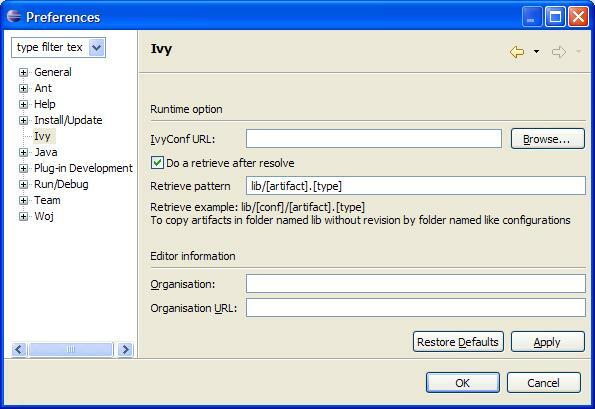 Retrieve option : specify here if you want ivy to do a retrieve after the resolve. If you check retrieve you must provide a the retrieve pattern. Check ivy documentation for pattern explanation.